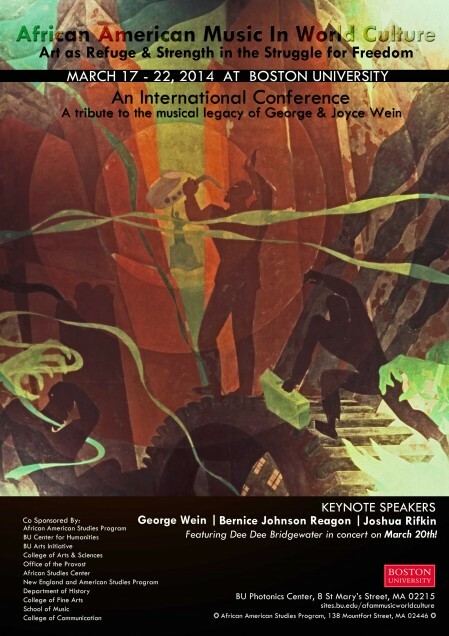 Nedelka Prescod, Gunther Schuller, and the conference at BU of African American Music in World Culture: Art as Refuge and Strength in the Struggle for Freedom highlight the late winter scene in Boston. Ken Schaphorst did a very entrancing concert of Duke Ellington and Charles Mingus. A highlight of Black and Brown was the performance by saxophonist Lihi Haruvi depth of feeling for Johnny Hodges, one of the mainstays of the Ellington Orchestra. Even more impressive was the Schaphorst tribute to Charles Mingus. David Adewumi on trumpet performs a glittering dance-like solo on Fables of Faubus and Kai Sandoval deserves mention for his work on the other Mingus pieces. The real highlight of the evening was the performance of Meditation which was recomposed by Ken Schaphorst into a most imaginative tapestry with invigorating dissonance. Mingus would have loved this seasoned gumbo. A day later was the Master Degree recital by Rebecca Sullivan. She included music by Bach and David Raksin. There were many wonderful originals such as Growing Up and The Mornings. The real highlight was Sea Room which is a devastating piece. For me, there were tragic implications but I may be misreading the composer’s intention. Her performance on this piece was wonderful. Rebecca used a lovely assortment of string players form the Third Stream Department; Eden MacAdam-Somer on violin and voice, Abigale Reisman on violin, viola and voice, and Abby Swidler on mando-cello and voice. The concert also included the humor of Alec Watson’s piano. Charles Peltz conducted and lent his administrative talents to the most imaginative late winter concert that I heard. The concert opened with Chris Brubeck’s concerto with bass trombone. Matthew Erickson demonstrated his virtuosity on this minor piece. I am a little bit confused why this number was chosen when there was the probability of hearing music by Max Roach, Bill Russo, Thelonious Monk, or Charles Ives. The concert featured two special highlights. The first half of the concert concluded with Ken Schaphorst performance of arrangements by Sammy Nestico. I hadn’t realized what skillful arranger he was; in the years past, much of his writing for young performers seemed bland. Alas there were only two Harold Arlen piece but the repertoire, although a little conventional, was fantastic. It ranged from Indian Summer, a piece by Victor Herbert who my grandparents admired, up to one of the later Cole Porter pieces, From This Moment On. The real surprise of the evening, however, was the performance by Nedelka Prescod which was a revelation. We could hear the strength of her voice on I Gotta Right to Sing the Blues and Just Friends. When she sang the word ‘friend’ midway through the piece she came in a beat early which reminded me of what Chris Connor might do. Her highlight was Ill Wind. There was such feeling, such renaissance, such beauty in this interpretation. She even departed from her very comfortable zone to stretch out on From This Moment On, which had great impact. It was very exciting to see Charles Peltz conduct Half-Mast Inhibition, a piece that was written in ’39 and recorded a few years later by Gunther Schuller. This was a very exciting event to witness the piece being played live at Jordan Hall. The real thunderclap of the evening was Gunther Schuller’s piece From Here to There inspired by Dave Brubeck. 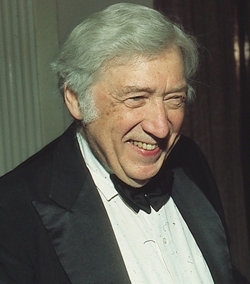 Nobody in the last 20 years or so can orchestrate like Gunther Schuller. Two times there would be loud explosions by the brass and winds to be followed by pianissimos for harp and piano. Also, another attribute of Gunther Schuller’s music is his use of dynamics. Listening to his music should be a requirement for all musicians. Music was not dead in the neighbor city of Boston. Harvard University in our lively neighboring city had invited Herbie Hancock to do six Norton lectures. The first, third, and fourth were particularly suberb where Herbie discussed the wisdom of Miles Davis, Cultural Diplomacy, and Innovation and Technologies. I had expected the last of these to be way over the head of the audience but that was not so. Herbie almost made the Sanders Theater stage his personal living room. I’m always appreciative when there are exciting events in the wonderful small city of Brookline, MA where I live in the basement apartment a block southwest of Coolidge Corner with my half-brother DecTor Dutra who’s photograph many of you have seen in the last few issues. Brookline has an incredible library system and they had the imagination to present William Landay at our local high school. Mr. Landay wrote one of my two favorite books in 2013; Defending Jacob is an incredible psychological adventure. Many of you readers know how much I love the French film director Claude Chabrol; he’s often called the French Alfred Hitchcock. This might be five percent of his great talent and to call William Landay a novelist that talks about an evil cell being transmitted from a grandparent to a grandchild, while true, is also somewhat dismissive. But “Defending Jacob” is full of nostalgic moments and even thought Jacob himself does not give love there are moments where he seems to reflect upon this for a couple of people like his dad. William Landay is a very relaxed speaker; he walked around the stage platform. The Q&A, although nice, did not seem to probe into his book more than superficially. Bassist, Andrew Schiller, performed a terrific concert for his Master’s Thesis at the New England Conservatory. The concert was full of lively moments and there was marvelous interplay, particularly with Evan Allen and Robin Baytas. The highlight was Andrew’s a cappella piece Cuenca. This was a very atmospheric solo with plenty of space and probing moods. Another community close to Brookline is Jamaica Plain where the Taylor House is located. This is a charming Inn which houses people who wish to stay a couple of days. The pastry and wine that is served to guests is incredible but as exciting was the Lefteris Kordis with bassist Ehud Ettun and remarkable drummer Karen Kocharyan. The three highlights were Xirotopos, In the Land of Phrygians, and Dolphin Dance by Herbie Hancock. I was thrilled when in the middle of the Hancock tapestry, Thelonious walked in. Today, the venue was Boston University. There were two exceptional talks presented at the African American Music in World Culture Conference. Marcello Piras, considered the Dean of jazz criticism in Italy, spoke eloquently about the influence of Mexican music on our first major jazz composer, Scott Joplin. Marcello was beautifully organized including clips of the music along with the notation of young Juvantino Rosas. Rosas died at the young age of 26, but Marcello made the link between his early virtuosity and the developing Joplin. Another highlight was Judith Tick’s subtly but emotional appreciation of Ella Fitzgerald which will be the subject of her forthcoming biography of the artist. The audience heard a 10 minute version of I Can’t Stop Loving You recorded in Berlin in ’68. Here we heard a different side of Ella where she displayed a fun and reinterpreted I Can’t Stop Loving You, summarizing her feelings for the black church of the era. For many of us, this was a new experience for hearing and seeing Ella and Judith was scrupulously organized, very poignant, and subtly emotional when expressing her appreciation of the artist. Judith Tick is currently working on a musical biography of Ella which is looked forward to with great pleasure. Two days after Judith Tick’s superb presentation on Ella Fitzgerald the worlds of academia and music performance came together again. The second day was kicked off by Dr. Blakely who coordinated this fabulous event. His early morning introductory remarks brought appreciative chuckles from the small audience when he expressed his reminiscences of the Dee Dee Bridgewater concert form the previous evening. He was thrilled by her energy, her talent, and also expressed delight on one naughty moment. The audience kept chuckling (Dr. Blakely And so many other people deserve credit for one of the most wonderful conferences to take place in Boston in years). Highlights include papers by Katherine Turner and Heather Anderson. Katherine offered vivid thrilling examples of the Strange Fruit history, mentioning the years that the song was neglected and how it now gained recognition from so many performers starting in the ‘90s. Nowadays, with people singing this from Israel, Africa, and England, images about hanging from poplar trees were expressed almost metaphorically though many of these performers have gone back and researched Afro-American roots and the reasons for the songs existence. 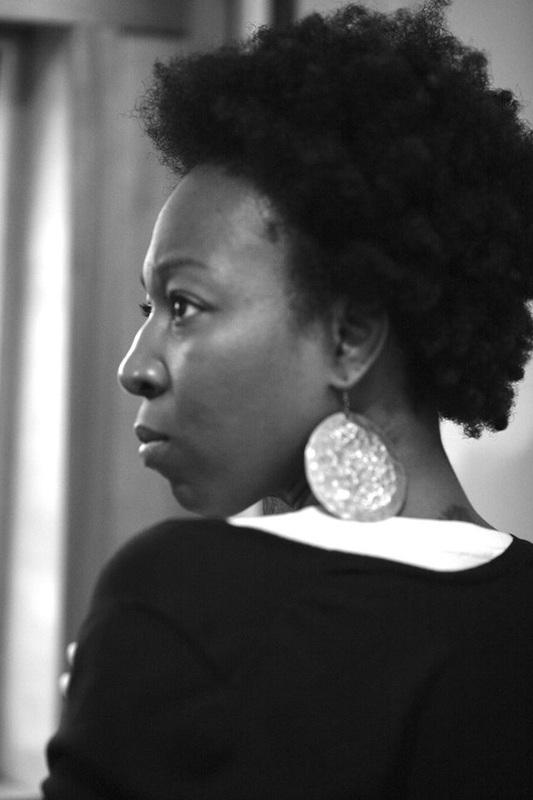 Heather concentrated on many life issues that plagued Nina Simone throughout her career, such as her estrangement from the jazz community and her role in social activism. We were also treated to hearing her dark husky, smoldering tones from aural and visual sources. These two stunning talks were followed by Christopher Capizzi’s examination of the Liturgical Music of Mary Lou Williams. This paper was delivered in a very dry academic manner which was sad because the scholarship was scrupulous. Perhaps the most exciting moments of the conference took place on its last day, Saturday 3/22/14, the morning after the brilliant performance by the Eric Hofbauer Quinten performing Messian and Stravinsky at the Longy School in Cambridge. Carolyn Sebron displayed her passion and interest in the European art scene in her wonderful delivery on Opera Ebony, the organization that fostered young people of color’s interest in operatic forms. This was followed by Virginia Eskin’s wonderful performance and talk Women of Color: Black, Blues, and Jazz. Both Ginnithia Hogges and the following moderator, Peter Hoesing, were terrific as moderators. The conclusion of Saturday morning was a winner. Stephanie Shonekan confronted the benefit and curse of American pop music’s influence on African music, specifically Nigerian Hip-Hop. She created moving argument on the negative outcomes of globalization on Nigeria youth while examining some positive results. She was particularly exciting when she did a couple of improvisations away from her well-documented paper. Another highlight followed. We had a second example of a song’s journey, this time on I Feel Like a Motherless Child presented by Felicia Miyakawa. We traced the history of Sometimes I Feel Like a Motherless Child which was very important to the repertoire of Marian Anderson, Mahalia Jackson, and Jeanne Lee. We saw two wonderful presentations on YouTube of Kiala and singer Gaida. Syrian born Gaida used a group of talented Middle Eastern musicians, including an ute player. Even more moving was Kiala, and African born musician performing a cappella in a Paris performance. Not to be overlooked, was Eric Hofbauer’s concert “Prehistoric Jazz: The Rite and 100 Years of Revolution.” Educator Peter Casino, a member at the Longy School of Music is to be congratulated for presenting such an unorthodox event. But it goes without saying that the real innovator was Eric Hofbauer. Eric grew up in upstate NY raised by his mother, a prominent psychologist from the area. And it was my pleasure getting to know Eric when obtaining his graduate degree at the New England Conservatory of Music. He often mentioned the joys he felt when listening to music outside his comfort zone. But I felt at the time he never dug as deeply as he might of. He certainly did on Friday 3/20/14 at Longy. He and his talented quintet focused on Quatre pour la Fin du Temps (1941) and The Rite of Spring (1913). Eric mentioned without benefit of the microphone, how so many of the musicians had sacrificed their time and family responsibilities to allow for rehearsal time and the production itself. He’s an articulate speaker and we wish we had heard more about the creative process and the challenges about how this particular group could be comfortable with what many of our musicians here would consider alien when using French and Russian resources. There were two minor flaws of the evening; one horn solo seemed gratuitous for a few second; the performer had not fully integrated the essence of Messian at this moment. And in another instance, one performer could have used less vibrato. Also, one might comment on the overuse of vibrato and a slightly rushed Danse de la Fureur. But these criticisms were apparent only as part of the evening plot. They are almost forgotten as part of the brilliance and exuberance of the whole project. 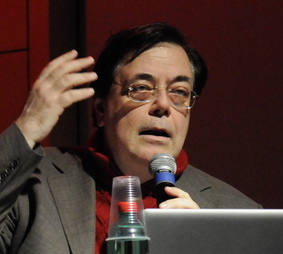 Jerry Sabatini is to be commended for his eloquent performance on Fouilles d’Arcs-en-Ciel and Louange al’Immortalite de Jesus. The whole concert was a brilliant success. Parts of the Stravinsky literally swung both in terms of American music and the rhythms of primitive Russia. Here’s a vital example of the best in third streaming and this whole experience is certainly a feather in the cap for Eric Hofbauer and his associates. the 2nd half even with impending head cold. In general, I presented tunes that are inspired from places I’ve been to. negative outcomes of the globalization of African American hip hop in Nigeria/African youth.